Growing up in rural Maine I spent a great deal of time playing in the woods around my house and exploring the ATV trails. I was told that these trails would eventually take me to Canada if I continued on them long enough but the furthest I ever got on them was the town line. After striking out at the HURT 100 in January with heat stroke I decided to take the month of February mostly off. Motivation was low to run in a particularly harsh Maine winter where the roads seemed to be continuously covered in snow and ice this year. Friends here in Maine decided to put on what would be Maine’s first 100-mile race called the Riverland’s 100 Miler, an out and back course that meanders along the Androscoggin river through the Turner Highlands. I have used my running as a way to explore places that I could have never imagined as a kid so when the chance came to race a 100 miler 20 minutes down the road from where I grew up I knew I had to be a part of it. The morning of the race my dad drove me down winding backroads to the park where a full parking lot was buzzing with runners. After a few words, we were off and the miles started ticking by. I am not much of a morning person so it took the first 20-mile lap to really wake up. Going into the race I had to drastically alter my expectations and goals for this event as I knew I was not bringing the best version of myself physically into this race. My only goal was to enjoy as many miles as I could and see what I felt like around 60 miles. After the first 20-miles I found myself in 4th and focused on just running somewhat even splits between aid stations. I fell into a rhythm and just tried to duplicate it each lap.When I race, I am usually more focused on how competitive can I be. I will spend a considerable amount of time looking at course data and tailoring my training around the event that I am taking on with the hopes that it will help me hit some arbitrary goal I have set for myself.I kept things simple by forgoing having a drop bag except at the start finish area and ran with one handheld secured in my Ultraspire pack. I stayed on the same nutrition plan I have used in the past and relied on tailwind with the occasional fig newton mixed in. At mile 80 my conservative effort throughout the day had paid off so I decided to push. By mile 85 I moved into 3rd and continued to push to the finish thinking I could get in under 20 hours. The winding mile and half of single track on the course slowed me down some and coming down the hill into the finish my watch ticked over 20 hours crossing the finish line in 20:02 3rd overall. 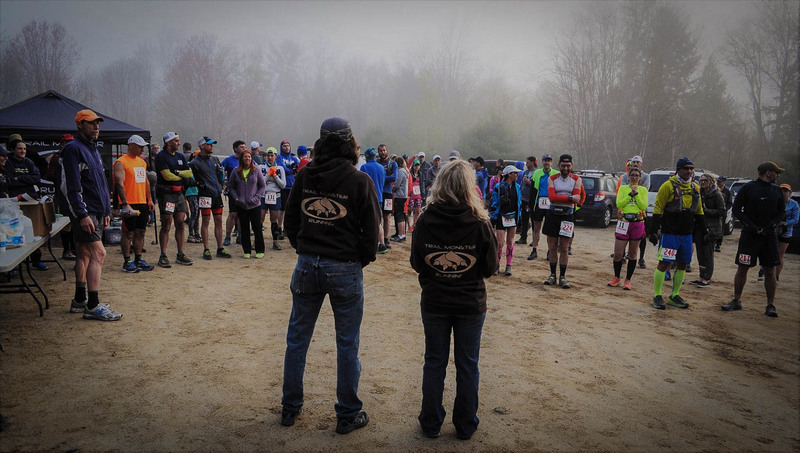 You could not tell that this was the first year for this event as it was organized as well as any other 100-miler I have done. I am grateful for the amount of time and effort Valerie and Mindy the race directors dedicated to making this race possible. Having family and friends on the course donating their time manning aid stations or crewing made this race even more meaningful.